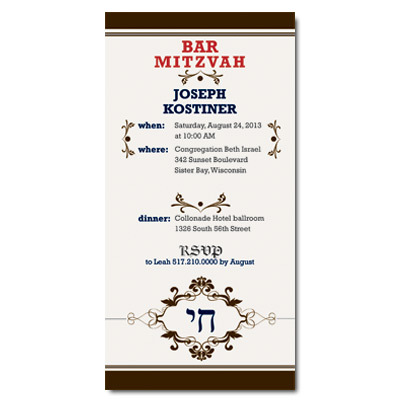 This Bar Mitzvah invitation is reminiscent of an old time western. Designed with striking bold red font and dark swirls; the chai symbol adorns the bottom. Card measures 3.5x7.